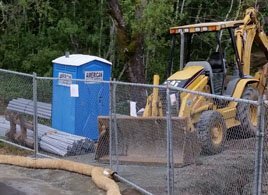 We specialize in portable toilets for vineyards, construction sites and special events of all sizes. Our goal is to provide excellent customer service to each and everyone of our customers. We can provide you a list of references from our satisfied customers upon request. 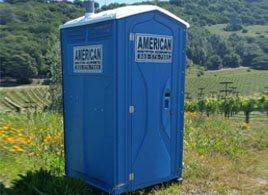 American Sanitation serves the following areas in Northern California: Napa, Sonoma, Santa Rosa, Petaluma, Novato, San Rafael, Vacaville, Vallejo, and Fairfield, CA. Contact us to learn more about the portable toilet rentals that are available. American Sanitation is always available to answer your questions and help with anything that you need. Call us today at (800) 570-7085 or email us today at info@american-sanitation.com for a free quote.